auction will feature original art from renowned American watercolor artists. This event offers guests the opportunity to learn more about our beautiful painting medium and its versatility in a relaxed, friendly environment. 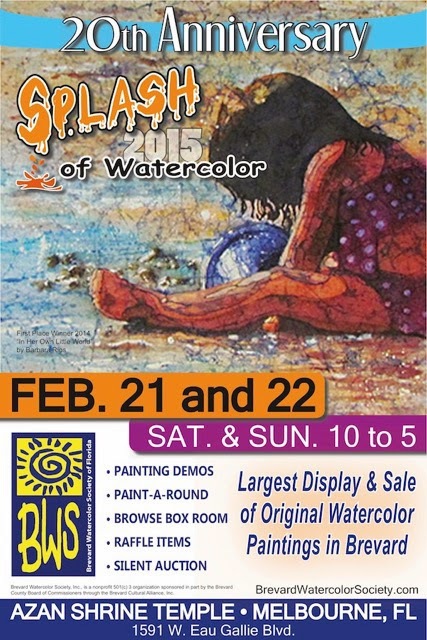 venue to select a one-of-a-kind piece of artwork for that special person or for your own wall. Delicious Heart Healthy Lunch items will be available for purchase. FREE ADMISSION – FREE PARKING – FAMILY FRIENDLY.